Only high quality citric arginine from domestic brands is used. 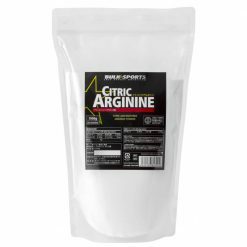 Bulk Sports Citric Arginine is as potent normal arginine, but contains citric acid to make it easier to ingest. Citric arginine has been a particularly favored supplement for power athletes for many years. 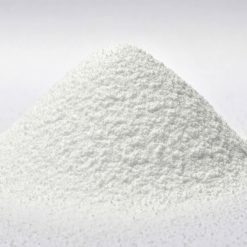 Arginine is known as a “conditionally essential amino acid”, meaning that it is only an essential amino acid in certain circumstances. Usually, arginine is synthesized in the body from other amino acids, but, during stress and high intensity workouts, arginine stores may become depleted and insufficient to meet bodily needs. Try Bulk Sports Citric Arginine, which only uses arginine from reliable domestic brands. Take one scoop (25g) mixed into your beverage or protein shake of choice. Keep tightly sealed after opening and use as soon as possible prior to expiration. If you have concerns about the taste, take with a fruit juice or meal. Take before and after exercise. Take before going to bed. Please consult your doctor before use if you are taking any medications or if you have any kind of allergy. Keep out of the reach of children. Discontinue use immediately if you experience any adverse effects. Do not use if pregnant or nurcing. Do not use if you have herpes or viral diseases.